For a while now while we tinkered away on our various projects and we discovered that keeping track of these became a task in itself. Sourcing parts, services and the monitoring of project expenditure was difficult. By the end we would have spreadsheets for some things, yet we’d bookmark links for other items. We’d also have a separate folder for images floating around in the background sometimes never to be seen again. When friends would ask what we’d been working on it was always more of a verbal description than anything else. The blog helped us out to a certain extent however you don’t always want to put everything up for the public to see. Especially when sensitive information like finance is involved. This was how Buildboard came about, it was developed more out of necessity than anything else. It finally gave us a way to file everything in one place. We also realised that photos were such a big part in documenting progress. Because of this we leveraged off the fastest growing photo community called Instagram. 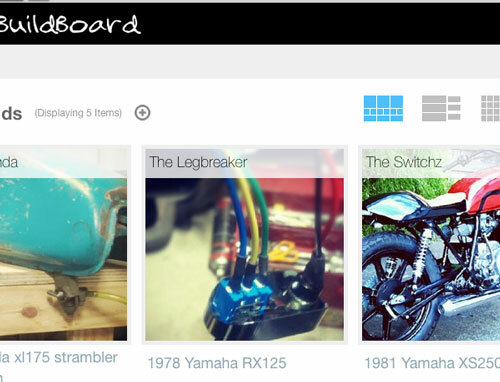 Buildboard is currently in Beta, and there are both desktop and mobile versions. However at this stage the mobile version is for viewing only. Which is great if you’re out and about and need a reminder of what bolts you need to buy, or how much the painter down the road quoted you over the phone. Sign up is simple and absolutely free. 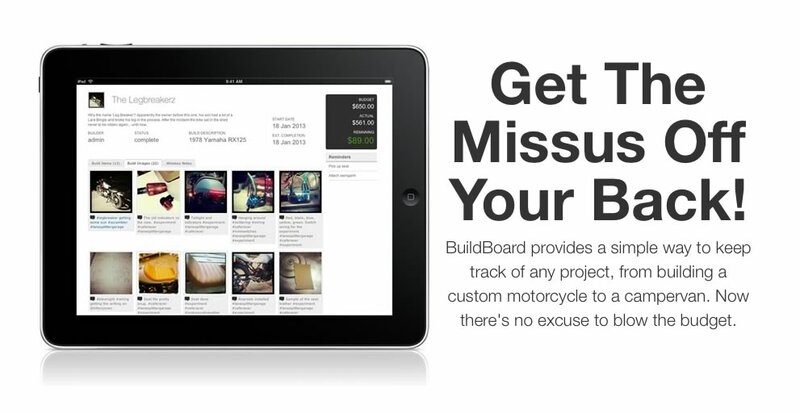 We just thought it would be a great tool for like minded builders, like us, to use and share. Also feel free to let us know what you think. The Experiment is finally up and running. 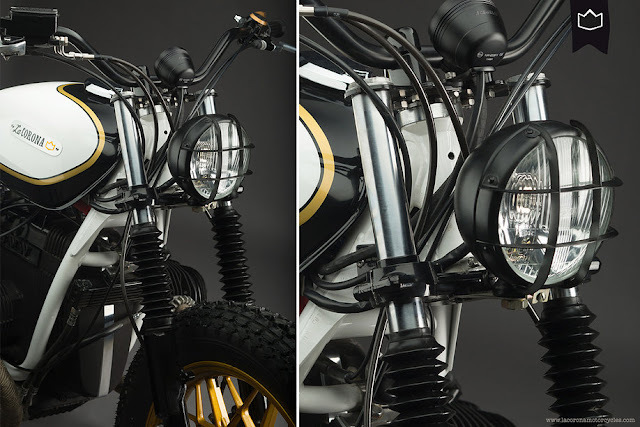 It was our most challenging bike so far in terms of the electrics. We rewired everything from the running switch gear and all existing lighting. We finally fired her up for the first time after and she started straight away via the electric start. No baffles and she sounded beautiful. 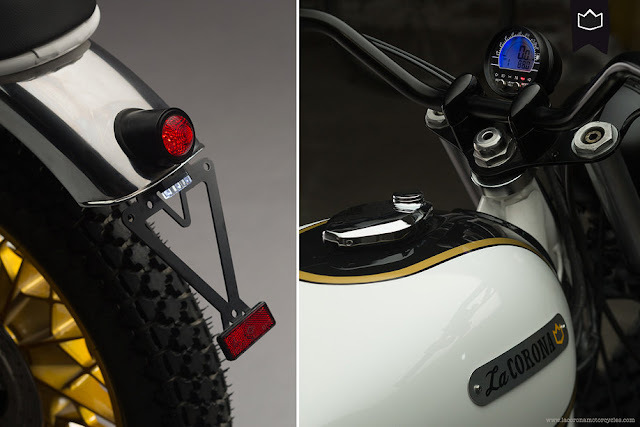 We have a few small little details to finish up, side panels, fab a plate holder. But now it's time for paint. Along with the Viragos the BMW have become a common base for a lot of bike builders. I think the engine's simplistic shape has a lot to do with this. 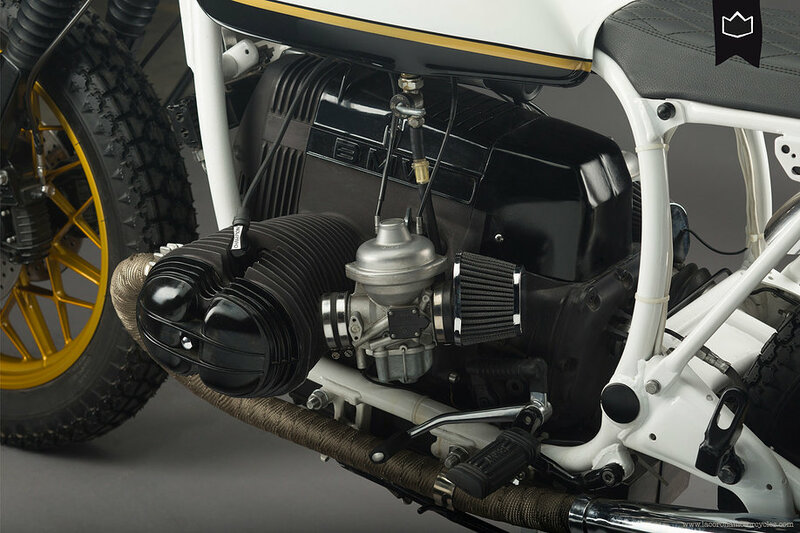 It gives the bike a low down bulk to the overall look. 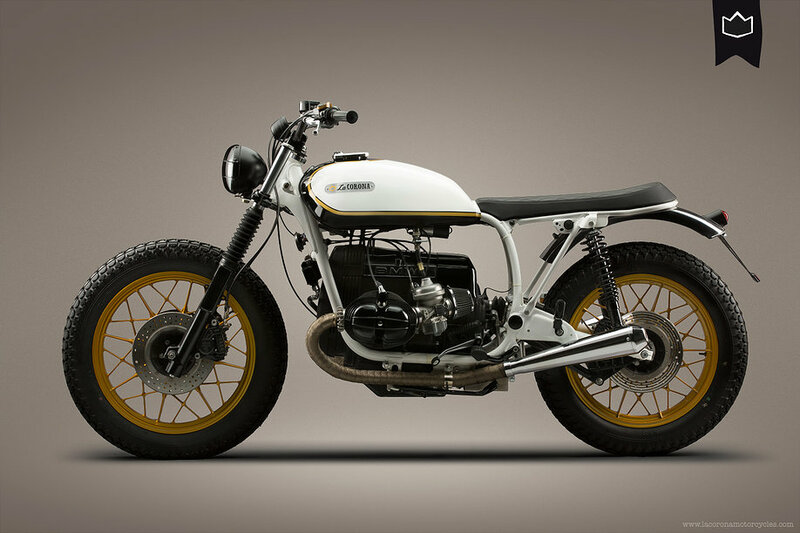 Custom shop La Corona Motorcycles out of Barcelona have done an amazing job with this R100RS. Stripping everything down to the bare minimum and adding some classy modern touches to it. 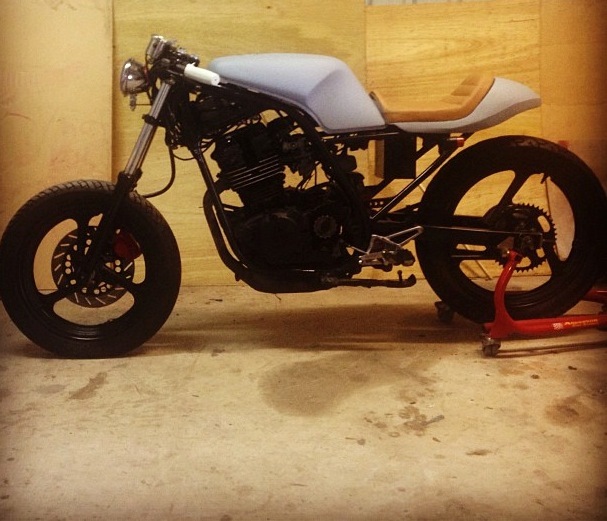 Chassis: swingarm and forks as standard. Toolbox: The crown motorcycles, available at our store.